In 2017-18, Natspec and ACER led a project, funded by the Education and Training Foundation on behalf of the Department for Education, to help providers design and deliver high quality study programmes that support learners with SEND to achieve ambitious outcomes and prepare them for further or higher education, employment and fulfilling adult lives. two innovative practice dissemination events. Providers involved in the collaborative development projects took part in dissemination events in Birmingham and London where they showcased the work they had undertaken. This included sharing a huge range of resources developed during their projects, which they have kindly agreed to share with the wider sector. Click here for a full summary of the material produced in this project. Webinar 4: Assistive Technology to Support Learners with SEND – where to start? 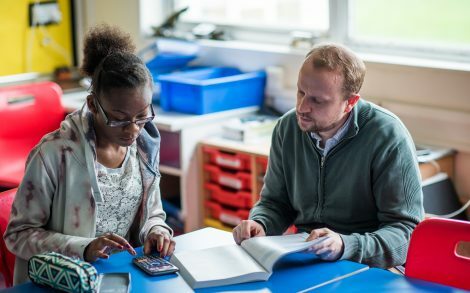 Webinar 5: Making Maths Accessible for Learners with SEND: Effective techniques for developing maths skills, confidence and engagement. These mini-modules have been developed to support learning at a time and pace to fit with practitioners’ busy working lives. Over the course of several months, Natspec has been working closely with our associates and the ETF to create a set of toolkits aimed at SEND professionals responsible for curriculum planning in specialist FE. Here are the toolkits available to access for free. Supported internships are incredibly valuable for young people with SEND to develop confidence, communications and key employability skills. Engaging employers from the outset isn’t always easy and straightforward for providers, so here’s a link where you can download a customisable leaflet explaining supported internships to employers. Learning support assistants are a valuable resource in SEND provision – and the most expensive too which is why effective use of this resource is essential. We have put together an in-house development activity to help you consider how to make the most of the LSAs in your setting. Get access here. Co-creating the curriculum is a great way to involve learners in deciding what to learn and how they might be taught. This toolkit has been designed to help curriculum managers and tutors in FE settings to explore co-creation, explain the concept to colleagues and engage their learners with SEND in co-creating their curriculum in a meaningful way. Learn more and access the toolkit here.